Today I visited a very unique village which is the only existing intentionally mixed (50:50) Israeli Arab (Muslim and Christian) and Israeli Jewish community in Israel. 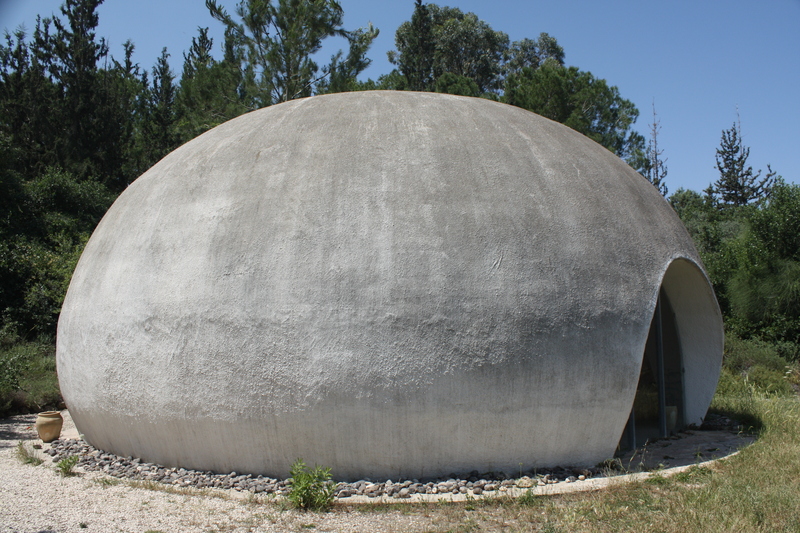 Wāħat as-Salām Neve Shalom (meaning Oasis of Peace in Arabic, Wāħat as-Salām, and Hebrew, Neve Shalom) was founded in 1969, the brainchild of a Dominican Priest by the name of Bruno Hussar, on land leased (and later gifted) from the beautiful Latrun Monastery nearby. It now consists of 60 households, with plans to grow to 150 over the coming years. Then, out of nowhere, a car pulled up and offered me a lift. I deliberated for all of a split-second before I abandoned the pilgrimage trail and hopped on in – I am weak! But hey, even pilgrims can accept a helping hand along the way, right?! My saviour was a teacher in the village school. Wāħat as-Salām Neve Shalom simply exudes peace and tranquillity and coexistence – it’s like the YMCA Building scaled up to a village. Here, though, the architecture is very understated; it’s not about the grand gesture. 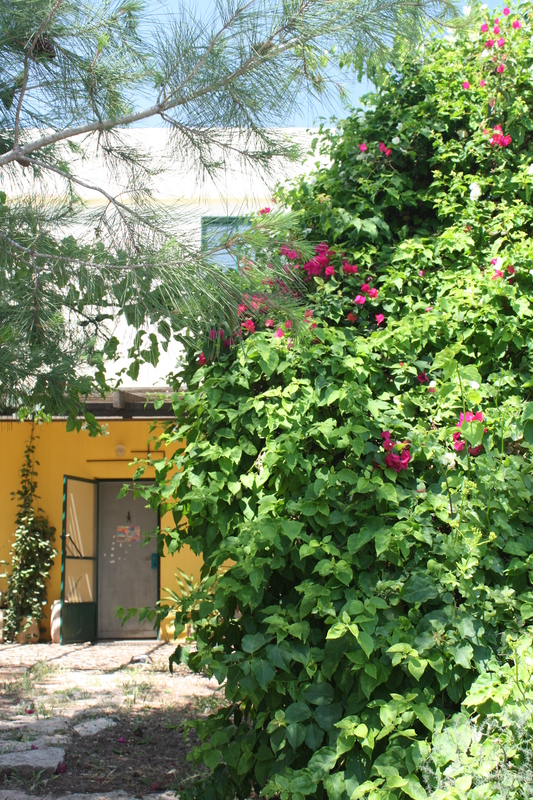 The houses, which must be approved by the village building committee as well as standard regional planning, are as varied as the occupants who have built them, and are barely visible amidst all the trees and foliage. Admittedly it has become a rather middle-class village – the primary school is private and the villagers are generally professionals such as teachers, doctors, nurses, university professors, even an architect or two. There is no social housing, and while there are a few rental properties to rent, most are owner occupied. I tagged along on a visit to the school with a large group from London’s Liberal Jewish Synagogue. Under a shelter that was a gift from the British friends of the village, one of the teachers spoke to us about the school’s bilingual teaching (where possible each class will have a Hebrew- and an Arabic-speaking teacher) and their policy to celebrate the religious festivals of all three religions. 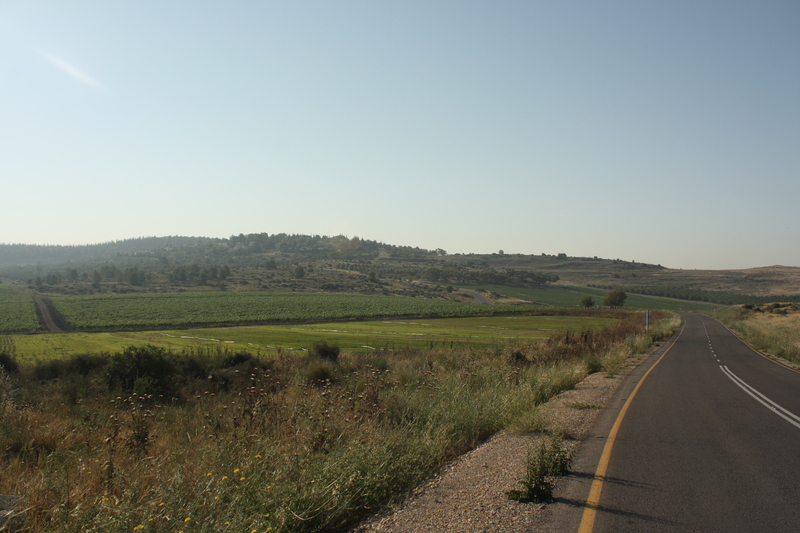 Political events, such as the Israeli Independence Day and the Palestinian Nakba, or tragedy are also taught (both refer to the same 1948 war, although due to calendar differences they are rarely marked on the same date). The teacher explained how a coin is used to visually explain this cultural difference to the children; in the way that the same coin has two different sides, so the same event is viewed by the same people as something different. The children are then asked to undertake a small project researching their own family’s stories, which they share with the class, so that the pupils become aware of alternative narratives at a very young age. Of course it’s not all plain sailing to have culturally different people living together in one village, especially when partisan politics, inequality and conflict are commonplace in other parts of the country. All of these external issues have an impact within the village too, and I’m told there can be plenty of friction when the entire village comes together to vote on important decisions. However the rule is that there must be a two-thirds majority and so they thrash it out and make compromises and concessions until a decision can be agreed upon and they continue to find ways to live together. They seek to learn to live with conflict rather than try to deny or ignore it, and after several decades of practice they seem to be getting pretty good at it. It’s an agonistic approach to democracy, although those I spoke to didn’t call it that. Sadly, the village fell prey to an unpleasant attack in June 2012, when local hard-line settlers slashed the tyres of multiple cars and wrote racist (anti-Arab) graffiti on the walls of the school. 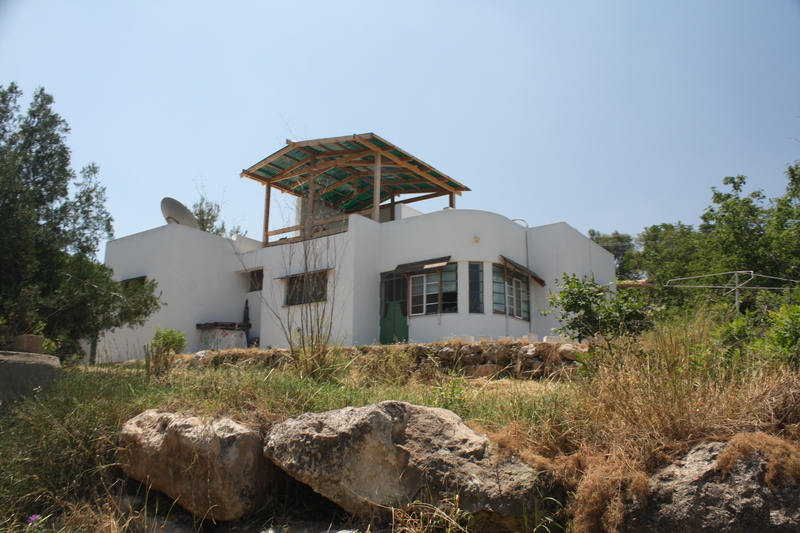 This was what is described as a ‘price tag’ attack; the settlers were extracting revenge for a government decision to evacuate some illegal settlement outposts nearby. 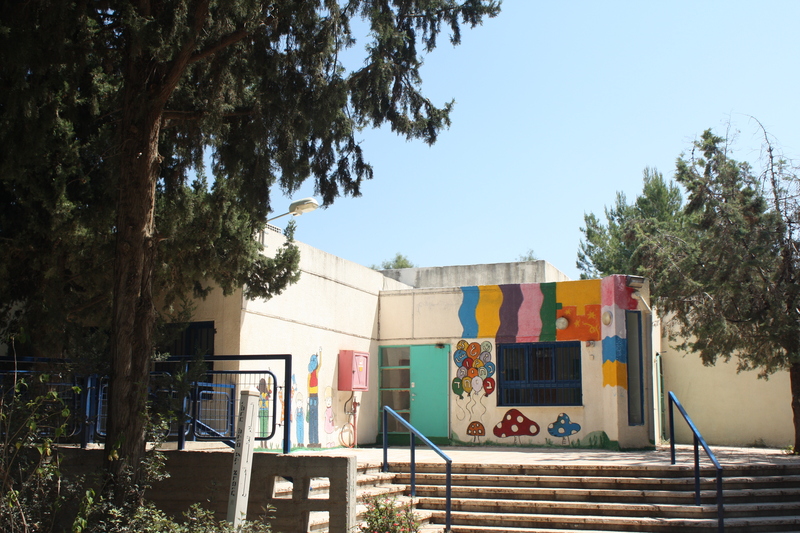 Villagers responded by immediately cleaning up the vandalism and arranging a ‘painting for peace’ day where pupils and their parents were invited to create their own graffiti and murals with positive messages of coexistence in Hebrew and Arabic. I feel encouraged and uplifted by the people of this incredible little village. Are they going to solve the Israel-Palestine conflict? No. Are they even trying to? No. They are just a bunch of ordinary people getting on with their lives while trying to show the rest of the world that there is an alternative to violence and that it is possible to live together – not easy, but possible with work, commitment, respect and equality. In doing so, they seek to spread hope and inspiration to the outside world. And if that isn’t worth taking a pilgrimage (and a lift) for, I don’t know what is. This room is called the ‘Corner of Silence’ (although it has no corners! ); it is the shared place of worship for all religions to pray together, in the common language of silence. 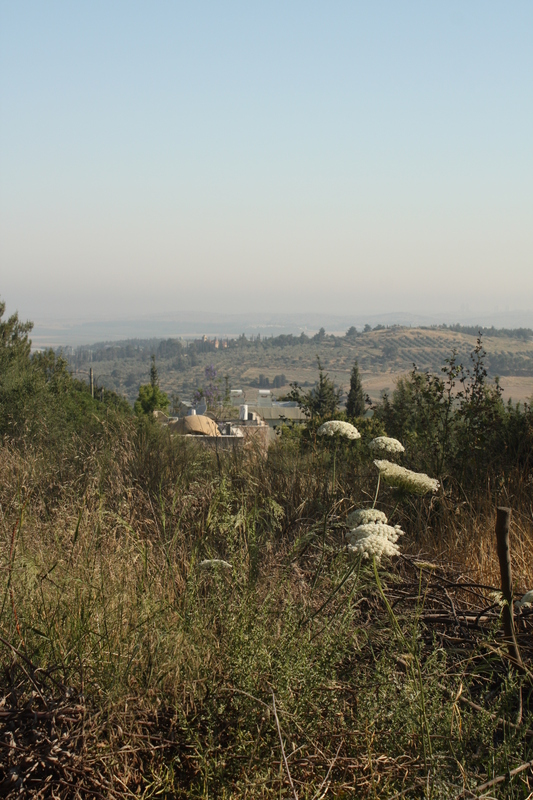 View from the village to the Latrun Monastery on the distant hill. All of the valley in between was within the No Man’s Land of the Green Line from 1949-1967.